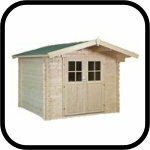 Taylors Garden Buildings have a superb range of log cabins. 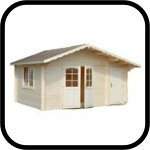 Here we have separated our log cabins in to log thickness to make choosing the right cabin for you as easy as possible. 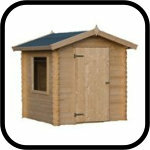 Our Log Cabins range in log thickness from 20mm, up to 50mm and beyond. 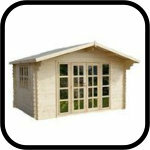 If you are looking for an occasional use garden building in the style of a summerhouse then why not browse the range of lighter logs. 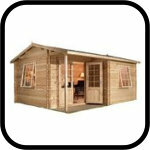 If you are looking to use the log cabin for something more substantial like a garden office for working from home or maybe a residential log cabin then go big!